There are over 32,000 robberies a year in convenience stores, and nearly 11,000 of those will be robbed multiple times. Convenience store robberies have been described as an epidemic in the United States. Second, only to taxicab drivers, convenience stores are an industry susceptible to a high amount of workplace homicide. Additionally, convenience store robberies and burglaries make up 26.6% of all robberies reported to police. For as little as $18.00 per month, a panic button for convenience stores can give store employees comfort during those late-night and early morning working hours. Why are Convenience Stores a Common Target for Crime? Many things influence the fact that convenience stores are a target for crime. 24-hour stores are especially prone to crime because of the long hours. The early morning hours are considered a high risk for crime because there are usually fewer people around then, meaning fewer witnesses and a lower chance for intervention. Another reason that convenience stores are a high risk of crime is mainly due to the store floor plan layout. Many convenience stores are small, making robberies seem quick and easy to pull off. Various stores also have view obstructions throughout the store. Again, this would decrease the number of possible witnesses to the crime. One more reason that convenience stores are a prime target is contributed significantly to the fact that a large amount of cash is usually present. Convenience stores generally have smaller items such as candy and soft drinks that are typically paid for with cash. Because some convenience stores are high traffic areas, having a lot of money on hand is a real possibility. Robbers hit 2 Medford stores within 2 days – October 8, 2018, two armed robbers hit two Medford, New York convenience stores in just over a 48 hour period. One of the robbers pistol-whipped one of the clerks on the way out of the store. Armed men rob Cape Coral convenience store – November 21, 2018, Two men robbed a Circle K store at gunpoint in Cape Coral, Florida overnight and got away an undisclosed amount of cash. Wichita police investigate 8-weekend robberies – In early December 2018, Wichita police investigated a string of armed robberies that occurred over the span of a single weekend. The Suspects were believed to be a group of teenagers. New Jersey gas station clerk killed during a robbery – January 03, 2019, In Edison, New Jersey, A gas station employee was fatally shot and killed during a robbery in New Jersey Thursday morning, even though he seemingly complied with the suspect’s demands. Shooting at Northeast Richland gas station– January 6, 2019, In Richland County, South Carolina, One person was killed in a shooting at a Richland County gas station Sunday around 9:30 a.m. at the Exxon gas station on the 9400 block of Wilson Boulevard. Dearborn Man Shot and Killed at Inkster Gas Station – On January 19, 2019, in Inkster, Michigan, a 34-year-old man was fatally shot after an argument with the suspect. The suspect fired several rounds, striking and killing the victim. Convenience store employee killed in Kelso during a robbery – January 22, 2019, A convenience store employee (Kayla Chapman) was shot and killed shortly after 4 a.m. Tuesday during a robbery at Holt’s Quik Chec in Kelso, Washington. 2 charged in armed robbery of University Boulevard Shell station Birmingham, Al – Sunday, January 6, 2019, a robbery happened at 9:58 a.m. at the Shell on University Boulevard. Birmingham police said the two men entered the store and one of them brandished a semi-automatic pistol. They demanded money from the clerk and then ran across the street into the Southtown public housing community. No injuries were reported. Police identify 2 killed at St. Pete gas station – January 21, 2019, St. Petersberg, Flordia, two men were killed and a third was injured during a shooting at a Shell gas station. According to police, a crowd of more than 100 people were at the Shell station at the time shots were fired around 9:30 p.m.
Why Use a Computer Panic Button for Convenience Stores? A computer panic button for convenience stores would be useful in a robbery situation. Because many convenience store clerks work alone, there is a big possibility that the clerk has to move around the store. Between helping customers and cleaning up shelves, among other duties, the clerk typically will not stay in one spot. One of the main reasons a convenience store should use a tech-driven panic button is the fact that it notifies emergency services within moments of an alert being raised. Compare this to a traditionally wired panic button that usually takes around two minutes to alert only one responder, and this is assuming the button is working properly in the first place. 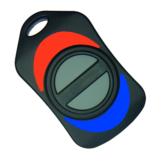 A panic button for convenience stores is also discreet when an alert is being activated. Other than trained personnel, the assailant will not know the panic alert has been initiated. 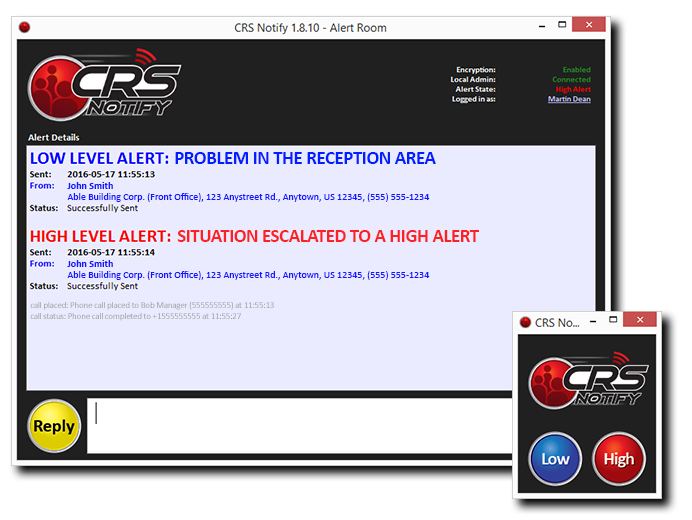 Silently, responders are notified with alert description details to help handle the emergency in the most effective way. Our wireless hardware button is also beneficial for convenience store clerks in particular since they usually work alone. The wireless button has a 750-foot range from the USB receiver, so the clerk could be working elsewhere in the store and activate an alert if needed. Finally, our unique feature of linking several locations together would be helpful for corporate convenience stores chains. If an alert were raised in a store, another store in the connected locations network would be notified within seconds what is going on. Furthermore, the store and other personnel can be notified directly via the computer software application, text message, email, or automated phone call. There are a few precautions that convenience store employees can take to decrease the chance of robbery. The first would be to implement a policy that limits the amount of money that is kept in the registers. Since convenience stores conduct a lot of cash transactions throughout a work day, they usually have a large amount of cash on hand at any given time. Many convenience stores require their employees to make a cash deposit whenever their cash on hand reaches a certain threshold. Sometimes this can happen multiple times a day. Additionally, some stores have signs that indicate that the clerks do not have access to the stored money in the safe. 80% of store robberies are deterred when the amount of money kept in the registers is limited in some form or fashion. Another way to deter store robberies would be for the store employees to see all parts of the store at all times. This safety precaution can be accomplished in several different manners. Many stores employ the use of surveillance cameras and mirrors. Bright lighting also helps employees have a better view of their surroundings. OSHA also recommends several steps to take to deter in-store emergencies. View their recommendations the link below. An incident response plan is essential in the event a robbery takes place. What steps is the clerk supposed to follow during and after a robbery occurs? Although it may seem counterintuitive, the best thing to do is to comply with the robber’s demands. Most robbers are not out to hurt anyone; they just want to take something and leave with minimal witnesses and intervention. Panic buttons can be kind of a catch – 22. When is the proper time to activate it? Many emergency personnel will advise people not to activate a panic button until the robber has left the premises. Activating a button while the robbery is still in progress could potentially trigger a hostage situation if the robber happens to turn around and see police waiting on the other side of the door. If it is safe to activate the alarm, do so. If it is not safe, do not activate the alarm until the coast is clear. Bottom line: use your best judgment, as each crime of this nature, is different. In conclusion, a computer panic button for convenience stores would be beneficial for many reasons including, but not limited to robberies. Technology-driven panic buttons are discreet when activated. A panic button for convenience stores alerts emergency services within moments of being activated. In our case, the panic buttons alert responders and colleagues within seconds of the alarm being initiated. Most importantly, computer panic buttons can help give convenience store employees peace of mind when working alone. Still Unsure About a Panic Button for Convenience Stores? Contact us for more information to make the best decision for your panic button for convenience stores.